Google is planning to launch the next generation of its Nexus tablet during the Google I/O event. It looks like HTC will be manufacturing it instead of Asus this time. Some images of the HTC Nexus 9 have been leaked on the interweb alongside its pricing and specifications. 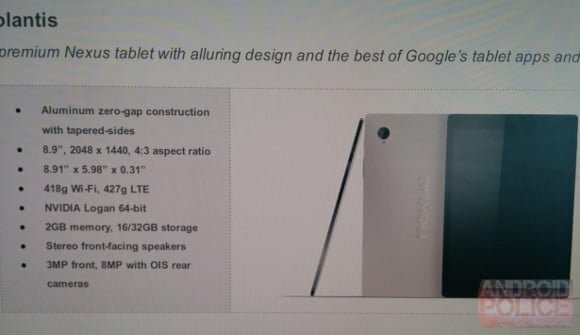 The Nexus tablet will come with an 8.9 inch screen with an odd resolution odd 2048 x 1440 pixels. The leak states that the tablet will have an aspect ratio of 4:3 but the above mentioned resolution does not go in sync with it. Under the hood of the tablet will be a 64-bit Tegra K1 processor coupled with a 2GB RAM. The internal storage options will be 16GB and 32GB with Wi-Fi and LTE options making their ways to the shelves. At the back of the Nexus 9 will be an 8MP snapper with OIS and joining it will be a 3MP front camera. Talking about the pricing, it is expected to be priced at $399 for the 16GB model and $499 for the 32GB model (both being Wi-Fi only). This pricing would fall in the iPad’s territory which has not been the case for the previous tablets. 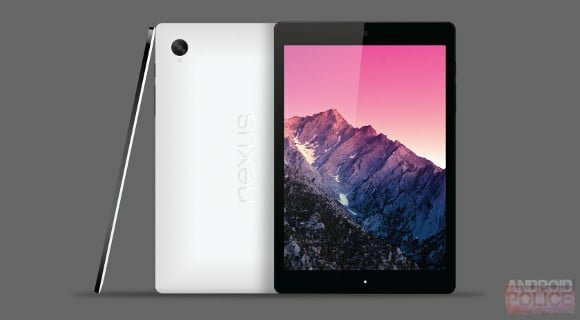 Nexus devices are meant to bring high-end specifications at an affordable price point but if the rumours are to be believed, it may not hold true in this upcoming tablet. Demand for high end smartphones costing 30000rs and above decline by 29 % in jan-mar quarter of 2014. Information Source : Economic Times.